One Healthy Mother » Boy, You’ve Got Some RAW BALLS! Boy, You’ve Got Some RAW BALLS! 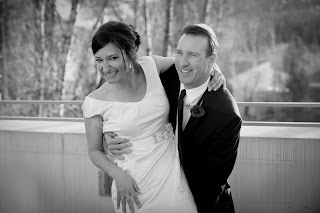 The nuptials in Aspen. Best. Wedding. Ever. sent me this recipe, informing me that it was super yummy but in need of a new name. RAW BALLS just wasn’t appetizing, but she’s a southern lady. Well this mutha thinks it’s perfect. “After dinner, I’ll be serving Raw Balls.” “Did you enjoy the Raw Balls?” “Have you tasted Leslie’s Raw Balls?? !” Come on, how could you rename these little guys? Place walnuts in a food processor and process until coarsely ground. Add the dates and pulse until well combined with the nuts. Add the cacao powder, syrup, almond butter, vanilla and salt. Process until the mixture is thick and smooth. Add the almonds and pulse a few times until combined. There should be some big almond chunks remaining. Wet your hands with water or a little olive oil, and form the mixture into balls and roll in the coconut. Place on parchment paper on a tray and store in freezer. These balls are DIVINE! All raw ingredients, never cooked, just chopped, mixed, rolled, and frozen. They’re addictive and perfect. I did have a little problem with my food processor, to be perfectly honest. When I added the cacao, syrup and almond butter, she just stopped. Wouldn’t budge. I’m not sure why this was, as it didn’t happen to Lisa, and I thought my Cuisinart could move through mortar, but that wasn’t the case. In the future, I would probably stir it manually at that stage, and chop the almonds beforehand. The almonds ended up whole in my recipe because of this, and it still worked great, but I might futz around with it a little next time, and OOOOOOH there WILL be a next time! Have a look. You know you want it. ADDENDUM: I made these again because, well, they’re AWESOME, and we’ve had some dinner guests this week. I used the food processor for the first step of combining the walnuts and dates, but then just mixed everything else by hand. MUCH easier, especially on the kitchen appliances, which sounded like they were going to burn out. And I prefer the almonds whole anyway, they add a delicious bit of crunch to these fudgey balls. Make these already!! I just made them and it was so easy. I haven’t tried them yet as I’m waiting for them to get cold in the freezer but I’m sure they’ll be great. We’re going to have them for dessert tomorrow when my parents and Ellen’s parents come over for dinner. Thank you so much for the recipe and also for having us over for dinner on Monday. That was so much fun. And by the way, this is a great food blog! but I think I mentioned that already.